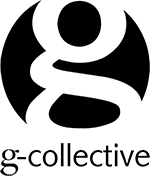 G-Collective : What is a “Giclée” and what does it mean? The term 'Giclée' was coined by Jack Duganne, a printmaker working at Nash Editions in California in the early 1990's. He wanted a name for the new type of prints they were producing on the IRIS printer, a large-format, high-resolution industrial prepress proofing inkjet printer they had adapted for fine-art printing. He was specifically looking for a word that would not have the negative connotations of "inkjet" or "computer generated". It is based on the French word gicleur, which means "nozzle" (the verb form gicler means "to squirt, spurt, or spray"). Beside its original association with IRIS prints, the word giclée has come to be associated with other types of inkjet printing including processes that use fade-resistant, archival inks (pigment-based, as well as newer solvent-based inks), and archival substrates primarily produced on Epson, HP and other large-format printers. These printers use the CMYK color process but may have multiple cartridges for variations of each color based on the CcMmYK color model (such as light magenta and light cyan inks in addition to regular magenta and cyan); this increases the apparent resolution and color gamut and allows smoother gradient transitions. 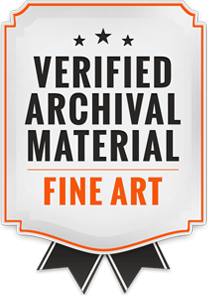 A wide variety of substrates is available, including various textures and finishes such as matte photo paper, watercolor paper, cotton canvas, or artist textured vinyl. Artists generally use inkjet printing to make reproductions of their original two-dimensional artwork, photographs, or computer-generated art. 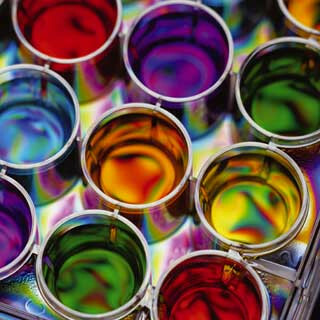 Professionally-produced inkjet prints are much more expensive on a per-print basis than the four-color offset lithography process traditionally used for such reproductions. (A large-format inkjet print can cost more than $50, not including scanning and color correction, compared to $5 for a four-color offset litho print of the same image in a run of 1,000.) Four-color offset lithographic presses have the disadvantage of the full job having to be set up and produced all at once in a mass edition. With inkjet printing the artist does not have to pay for the expensive printing plate setup or the marketing and storage needed for large four-color offset print runs. 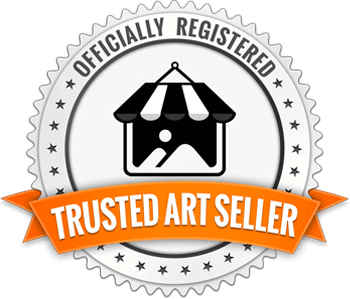 This allows the artist to follow a just-in-time business model in which inkjet printing can be an economical option, since art can be printed and sold individually in accordance with demand. Inkjet printing has the added advantage of allowing artists to take total control of the production of their images, including the final color correction and the substrates being used. "giclee is the only printing technique that captures the essence of my watercolors"